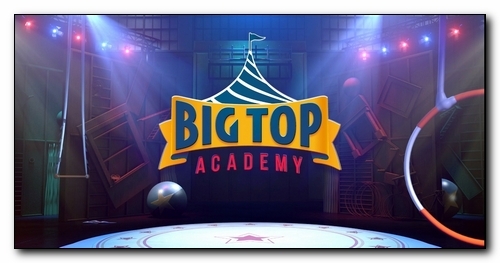 Discovery Kids, the leading pay TV network for preschoolers in Latin America, and Cirque du Soleil Images, the multimedia production division of Cirque du Soleil Entertainment Group present “BIG TOP ACADEMY,” an original live-action kids series by Apartment 11 Productions in association with TVOkids. Set in a fictitious circus arts boarding school, “BIG TOP ACADEMY” tells the story of an extraordinary group of young acrobats who dream of becoming professional circus artists. The series, the first ever live-action kids series for Cirque du Soleil, transports young viewers to the exciting and colourful circus universe. As the young group of students at BIG TOP ACADEMY strive towards personal excellence, they learn to work as a team and transcend their own limits. 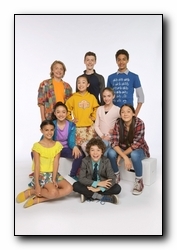 Fast-paced and high-energy, the series tells the story of eight students – Nicholas, Maxwell, April, Phoenix, Chase, Ella, Celeste and Axel – who hail from different walks of life and have a variety of skills: some are already circus artists, others come from ballet and gymnastics, while a few have no formal training at all. Heading up the school is the firm but friendly headmistress, Miss G., along with stern athletics director Sir Rayne and wacky teacher Ms. Martel. Miss G will mold the young students into the best circus artists they can be.At this prestigious school, the value of friendship is enhanced, the stakes are high, the risks are real, the rivalries are intense and the obstacles formidable.